Congress President, Rahul Gandhi tweeted on Monday that he would make mayoral elections direct, since good leaders are needed to build smart cities. The Congress party has been sharing its key features on social media. The tweet seems like another promise in the direction of smooth urban governance. Real smart cities are built by good leaders. To improve quality of life in our cities we will move to directly elected Mayors with 5 yr terms & elected councils. Administration will be run by multidisciplinary teams of specialists & experts accountable to the Mayor & council. The question of municipal leadership is of great importance to the cities of India. India’s urban woes are heightened due to absence of politically accountable leaderships across the cities. Recent reports have also showed Narendra Modi’s keen interest in introducing direct election of mayors. At present, six states – Uttarakhand, Chhattisgarh, Jharkhand, Madhya Pradesh, Uttar Pradesh and Tamil Nadu – have directly elected mayors. However, they remain ceremonial heads with limited financial and political independence. The actual power is vested in the state government, which runs the city through a municipal commissioner. 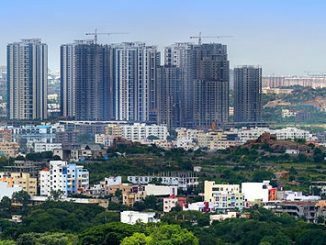 The 74th Constitutional Amendment Act of 1992 recognised Urban Local Bodies (ULBs) – Nagar Panchayats, Municipal Councils and Municipal Corporations . These were the “institutions of self-government”, subjected to supervisory control and guidance by the state governments. However, the amendment did not specify the manner of election, tenure or powers of the Mayors of ULBs. Mayoral reform first made its way into Parliament with MP Shashi Tharoor introducing a private member’s bill in 2016 to amend the Constitution for strengthening local governments. The bill aimed at establishing strong leadership for cities by providing for a directly elected and empowered Mayor. The bill also made valid points on key urban governance reforms such as mandating the constitution of area sabhas and ward committees and strengthening the devolution of functions to local governments. “A directly elected Mayor, at the head of the Municipal Body, will be fully empowered with political, functional, and budgetary autonomy and would serve to fix both ownership and accountability for running the town or city,” Tharoor had mentioned in his bill. While much has been talked about the need to have a powerful and accountable Bengaluru Mayor, little has been done. Bengaluru’s situation is worse than some other cities because the Mayor here has a term of just one year. The Congress in its manifesto for the Karnataka 2018 Assembly Elections had promised to implement a directly elected, empowered mayoral system within 10 years. The Europeans have always vouched for a directly elected mayor with extensive executive powers. The closing years of the 20th century witnessed significant reforms that would elevate the position of the mayor to the position of a chief executive. Beyond Europe, cities in Brazil, Mexico and Argentina started adopting a similar model. In these countries, the mayor and his council is directly elected and performs a host of core municipal functions. A strong mayor model has time and again enthused citizens to shed their indifference to local urban issues. A powerful, directly elected political executive in the city can create responsible urban governance. An empowered executive at the city can also be achieved through an indirectly elected “Mayor-in-Council” (MIC) system in which, the Mayor remains accountable to the council. However, whether the directly elected mayoral system is the best or not remains debatable. States like Rajasthan and Himachal Pradesh which introduced directly elected Mayors reversed the decision due to the obstacles posed by the system. In India, the mayor is recognised as the first citizen of the city and he is expected to preside over meetings of Town Hall. However, the mayor does not command executive powers. He mostly performs duties which are ceremonial. In essence, mayorship in India is guided more by the prevailing political compulsions of the state or by the whims of the Chief Minister. As a result, the city governance remains fractured and weak. Over time, pressures of urbanisation worsened living conditions in urban areas, making it necessary to appoint a directly elected mayor. The mayoral electoral process has been experimented with, in the recent past. Some states have adopted the direct election model while others have abandoned it. Today, six states, Uttarakhand, Chhattisgarh, Jharkhand, Madhya Pradesh, Uttar Pradesh and Tamil Nadu have directly elected mayors. The powers of the mayors, however, are not consistent in these states. For instance, in Madhya Pradesh, the state adopted a system of directly electing mayor in 1998. However, the mayor had to form an MIC out of the elected councillors. This MIC was to aid and advise her. The mayor presided over the MIC meetings and deliberations. This was in fact a curious existence of the presidential system of election with the parliamentary system of operation. 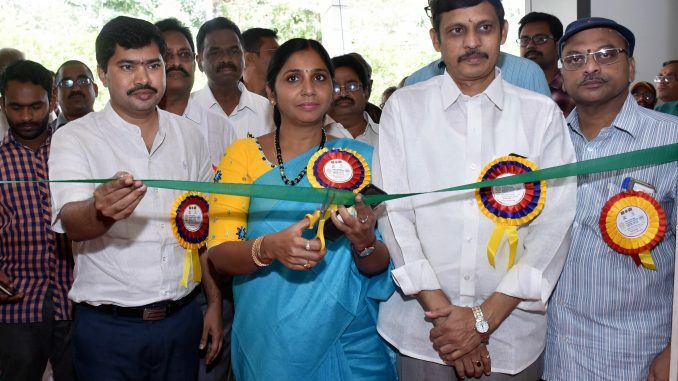 Though directly elected, the powers of the mayor were examined and in many cases cut down by the municipal commissioner, appointed by the state. In Shimla, HP, the BJP government had amended the Municipal Corporation Act in 2010 to introduce direct elections for the office of mayor and deputy-mayor. By doing this, the BJP hoped to cash in by winning these two offices in Shimla. To their dismay, both of these seats went to candidates belonging to the Communist Party of India (Marxist) in 2012. The working of the elected candidates has been difficult because the 26-member corporation is dominated by rival parties—BJP and Congress. This became a reason for the current Congress government in Himachal Pradesh to drop this system. Kolkata’s stint with the MIC continues without internal obstacles. The Kolkata and Howrah Municipal Corporation Act of 1980, brought in the first MIC system. It comprised the mayor, deputy mayor and ten councillors nominated by the mayor. Unlike in Madhya Pradesh, all of them were indirectly elected in this system. The mayor had a five-year term, serves as the corporation’s administrative head, and the MIC is empowered to manage the corporation through its weekly decision-making meetings. In 1998, Maharashtra also attempted the MIC system in Mumbai and Nagpur. In both instances, the mayors were indirectly elected. This lasted only a year after which the old system of the commissioner as the chief executive was brought back, partly on account of the change of chief minister. The states of Rajasthan, Himachal Pradesh and Tamil Nadu have experimented with a mayoral system. But a change of governments in these states led to alterations in political behaviour and the model was hastily dropped. However, Rajasthan Chief Minister Ashok Gehlot reintroduced direct election of mayor and chairman of local bodies in December 2018. In 2014, the BJP government then in power had representatives of winning parties choosing the Mayor. However, the Indian experiment with the mayoral system needs to be studied more. There are no detailed explanations from political leaders and ministers for their adoption and subsequent rejection of the directly elected mayor model. Moreover, all Indian mayors, whether directly or indirectly elected, have been ‘mayors on leash’ because of the constitutional provisions that require mayors to seek approval of the Chief Minister at every step. To really strengthen urban governance, it is not only required to empower mayors; lack of fiscal decentralisation and devolution of power need to be tackled too. Some of the key functions of the city are not devolved to the city corporation – parastatals and state departments handle water supply, power and policing in urban areas. Everywhere in India, cities are controlled by the respective state governments. Which of those governments is ready to let go and more to ensure our cities become independent? Dear Prime Minister, do not use pakoda sellers as your excuse! 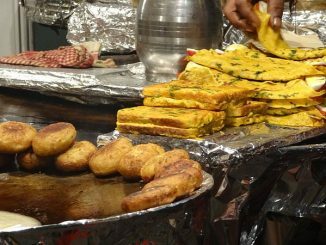 In the wake of the controversy over Prime Minister Narendra Modi’s reference to the street pakoda seller as an employment statistic, the author takes up the cause of street vendors across the nation and voices their real concerns. 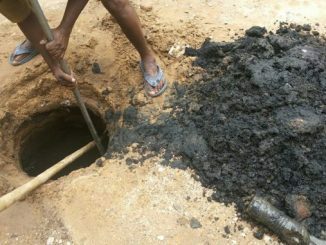 The Ministry of Housing and Urban Affairs has launched a Technology Challenge, inviting entries proposing tech solutions for cleaning of sewerage systems and septic tanks. If you can come up with a technology that can end the curse of manual scavenging, apply before August 14th.